or behind. Whenever I get there is when I arrive. Tell time from the way fir shadows fall. Call down canyons . . .
a ball that always bounces back. his wet nose behind my knee nudges me forward. gather pine cones and pitch to kindle a fire. smolt darting in a stream. so they know I am there. Chipmunks make the best friends. If coyotes howl at the moon, join the choir. Pace myself. Move at a steady beat. This poem first appeared in Split Rock Review. 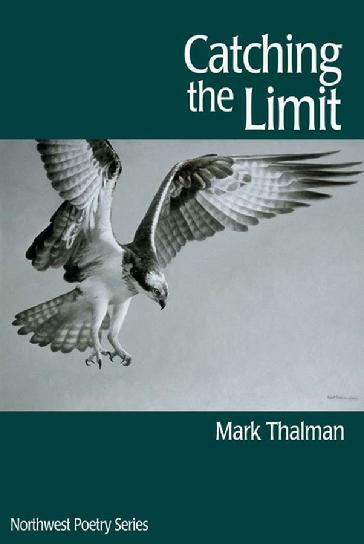 Mark Thalman, editor of poetry.us.com and author of Catching the Limit (Fairweather Books), has been widely published for four decades. He received his MFA from the University of Oregon, and is retired after teaching English in public schools for 32 years. Mark, also an artist who enjoys painting wildlife scenes with acrylics, lives in Forest Grove, Oregon. Learn more about him at www.markthalman.com. Feels very relaxing being on that trail--despite the possibility of bears! I frequently talk to myself aloud, and now I can explain why. Thank you. I really enjoyed this poem it felt so 'human' and real.